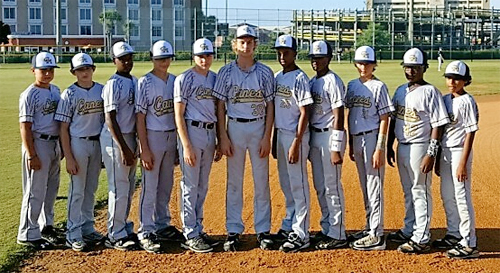 After a long and successful summer of baseball, the Cenla Hurricanes’ hard work paid off as they won the 2016 USSSA 12 year old Open Division World Series Championship in Destin, Florida. Coached by Darren Bayonne, this group of 12 year olds claimed the World Series title. The members of the team include Garrett Smith, Carson Shirley, Gregory Willis II, Haydan Toal, Jordan Fluery, Judd Barton, Darnell Bayonne, Javondre Ravare Junior, Graham Vaughn, Terrence Grines Junior and Derrick Johnson Junior. Congrats young fellas!